The Lifemaxx PU straight barbells LMX74.S.40KG are professional polyurethane barbells suitable for intensive commercial use. The Lifemaxx PU straight barbells LMX74.S.40KG feature a sleek and compact design. The weight indication is displayed on the top, bottom and side so it is always easy to see which dumbbell you are selecting! The Lifemaxx PU straight barbells LMX74.S.35KG are professional polyurethane barbells suitable for intensive commercial use. The Lifemaxx PU straight barbells LMX74.S.35KG feature a sleek and compact design. The weight indication is displayed on the top, bottom and side so it is always easy to see which dumbbell you are selecting! The Lifemaxx PU straight barbells LMX74.S.30KG are professional polyurethane barbells suitable for intensive commercial use. 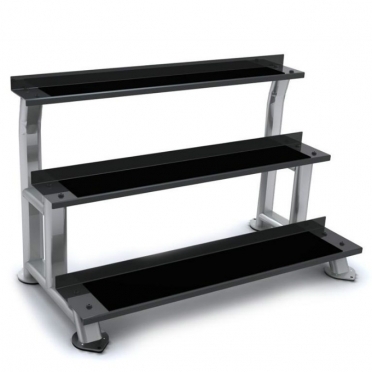 The Lifemaxx PU straight barbells LMX74.S.25KG feature a sleek and compact design. The weight indication is displayed on the top, bottom and side so it is always easy to see which dumbbell you are selecting! The Lifemaxx PU straight barbells LMX74.S.25KG are professional polyurethane barbells suitable for intensive commercial use. The Lifemaxx PU straight barbells LMX74.S.20KG are professional polyurethane barbells suitable for intensive commercial use. The Lifemaxx PU straight barbells LMX74.S.20KG feature a sleek and compact design. The weight indication is displayed on the top, bottom and side so it is always easy to see which dumbbell you are selecting! The Lifemaxx PU straight barbells LMX74.S.15KG are professional polyurethane barbells suitable for intensive commercial use. The Lifemaxx PU straight barbells LMX74.S.15KG feature a sleek and compact design. The weight indication is displayed on the top, bottom and side so it is always easy to see which dumbbell you are selecting! The Lifemaxx PU EZ barbells LMX74.E10KG are professional polyurethane barbells suitable for intensive commercial use. The Lifemaxx PU EZ barbells LMX74.E.10KG feature a sleek and compact design. The weight indication is displayed on the top, bottom and side so it is always easy to see which dumbbell you are selecting! The Lifemaxx PU EZ barbells LMX74.E40KG are professional polyurethane barbells suitable for intensive commercial use. The Lifemaxx PU EZ barbells LMX74.E.40KG feature a sleek and compact design. The weight indication is displayed on the top, bottom and side so it is always easy to see which dumbbell you are selecting! The Lifemaxx PU EZ barbells LMX74.E35KG are professional polyurethane barbells suitable for intensive commercial use. The Lifemaxx PU EZ barbells LMX74.E.35KG feature a sleek and compact design. The weight indication is displayed on the top, bottom and side so it is always easy to see which dumbbell you are selecting! The Lifemaxx PU EZ barbells LMX74.E30KG are professional polyurethane barbells suitable for intensive commercial use. The Lifemaxx PU EZ barbells LMX74.E.30KG feature a sleek and compact design. The weight indication is displayed on the top, bottom and side so it is always easy to see which dumbbell you are selecting! The Lifemaxx PU EZ barbells LMX74.E25KG are professional polyurethane barbells suitable for intensive commercial use. 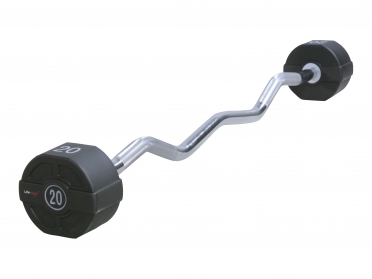 The Lifemaxx PU EZ barbells LMX74.E.25KG feature a sleek and compact design. The weight indication is displayed on the top, bottom and side so it is always easy to see which dumbbell you are selecting! The Lifemaxx PU EZ barbells LMX74.E20KG are professional polyurethane barbells suitable for intensive commercial use. The Lifemaxx PU EZ barbells LMX74.E.20KG feature a sleek and compact design. The weight indication is displayed on the top, bottom and side so it is always easy to see which dumbbell you are selecting! The Lifemaxx PU EZ barbells LMX74.E.15KG are professional polyurethane barbells suitable for intensive commercial use. The Lifemaxx PU EZ barbells LMX74.E.15KG feature a sleek and compact design. The weight indication is displayed on the top, bottom and side so it is always easy to see which dumbbell you are selecting! The Lifemaxx PU straight barbells LMX74.S.10KG are professional polyurethane barbells suitable for intensive commercial use. The Lifemaxx PU straight barbells LMX74.S.10KG feature a sleek and compact design. The weight indication is displayed on the top, bottom and side so it is always easy to see which dumbbell you are selecting! The Lifemaxx PU dumbbellset LMX72.60kg are professional polyurethane dumbbells that are suitable for intensive commercial use. The Lifemaxx PU dumbbellset LMX72.60kg are made of solid cast iron. This makes the dumbbells sleek and compact. The weight indication is displayed on the top, bottom and frontside so it is always easy to see which dumbbell you are selecting! 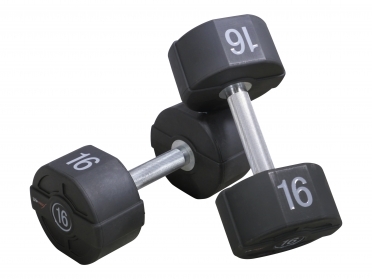 The Lifemaxx PU dumbbellset LMX72.58kg are professional polyurethane dumbbells that are suitable for intensive commercial use. The Lifemaxx PU dumbbellset LMX72.58kg are made of solid cast iron. This makes the dumbbells sleek and compact. The weight indication is displayed on the top, bottom and frontside so it is always easy to see which dumbbell you are selecting! The Lifemaxx PU dumbbellset LMX72.56kg are professional polyurethane dumbbells that are suitable for intensive commercial use. The Lifemaxx PU dumbbellset LMX72.56kg are made of solid cast iron. This makes the dumbbells sleek and compact. The weight indication is displayed on the top, bottom and frontside so it is always easy to see which dumbbell you are selecting! The Lifemaxx PU dumbbellset LMX72.54kg are professional polyurethane dumbbells that are suitable for intensive commercial use. The Lifemaxx PU dumbbellset LMX72.54kg are made of solid cast iron. This makes the dumbbells sleek and compact. The weight indication is displayed on the top, bottom and frontside so it is always easy to see which dumbbell you are selecting! The Lifemaxx PU dumbbellset LMX72.52kg are professional polyurethane dumbbells that are suitable for intensive commercial use. The Lifemaxx PU dumbbellset LMX72.52kg are made of solid cast iron. This makes the dumbbells sleek and compact. The weight indication is displayed on the top, bottom and frontside so it is always easy to see which dumbbell you are selecting!